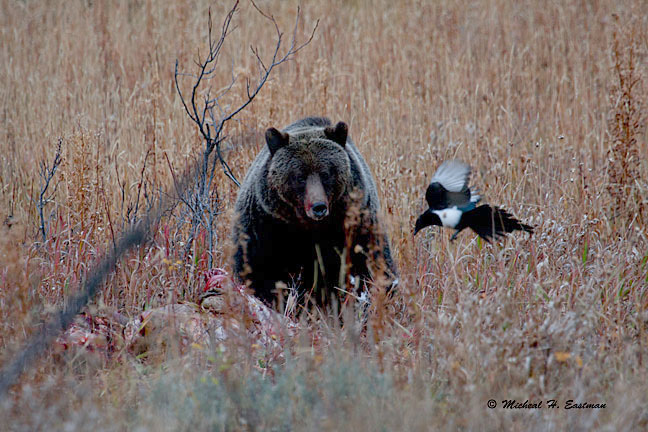 The big game hunting in Wyoming this year should be fair, with a few bright spots here and there. The good news, it should be much better than it was last year. Coming off a bad winter like we did during the 2011 hunting season is always very tough. Thank God we didn’t have two tough winters in a row. 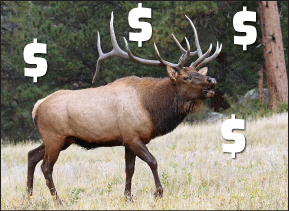 Here is what I think a big game hunter in Wyoming might be able to expect this year. Elk- Based on what I have seen and heard so far, I believe the elk populations in Wyoming have finally begun to stabilize. Thanks to the government’s wolf “thinning” program and pre-delisting have significantly reduced their impact on elk populations in some parts of Western Wyoming. Just last week, I found a herd of 15 cows that had 12 calves in tow. Very good news and the best recruitment I have seen inside the wolf zone in the past five years or more. The 360-inch bull that was running the herd is proof of the good antler growth this year. 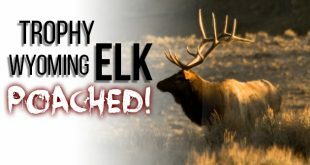 My prediction is that the elk hunting in Western Wyoming will be the best it has been in the past five to ten years. 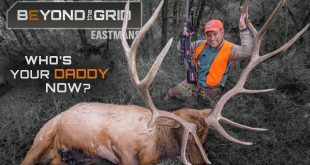 The elk hunting in Central Wyoming will continue to be off the charts and the elk hunting in Southern Wyoming may be a bit tough for quantity but quality will still be good. The areas on the Eastern front, 54, 121, 61, 62, 63, 64 and Big Horns should be very, very good for trophy quality this year. Quantity of game in most of these areas will continue to lack however. The central areas, 7, 16, 22, 111, 118 and 24 should be as good or better than ever this year both quality and quantity. Area 100 has hit a bit of a slump as of lately and I expect that to continue this year. The Southern units of 30, 31 and 32 should be a bit below average this year. Coming off a very rough winter and a very dry year I think the elk numbers are down in these areas this year but there still could be some very big bulls to be had. Overall the elk in Wyoming are in pretty good shape and getting better. 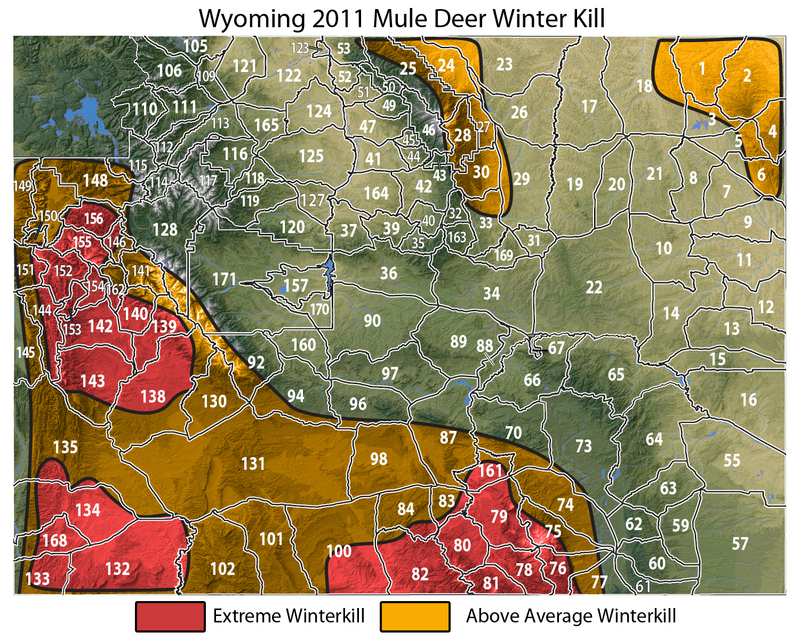 Deer- The deer hunting in Wyoming should remain below average but with a few possible bright spots. Region H will continue to be tough but Region G might be very good with regard to quality, not quantity. There will be fewer bucks in G this year but based on preliminary reports the bucks that were 150-160 last year have faired very well this year and should be in the 170-190 range. The central units, 87, 89, 90 and 34 should be as good or better than ever. Based on what I’ve seen these areas although very dry should still produce some very, very good bucks this year. Quite a few 30-inch plus bucks have been spotted already. 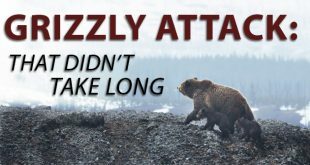 The areas south of I-80 should still remain tough hunting, particularly the areas in the Medicine Bow National Forest, Region K and Limited quota areas 101 and 102. The season dates and limited tags should make the late hunt in area 82 a very good hunt. The deer hunting in the Black hills region in Northeast Wyoming should still be tough, but this area should begin bouncing back in the next year or two. Cross your fingers, the deer hunting in Wyoming should be on the rebound, pray for an average snow year and wet spring to seal the deal on a legitimate rebound. 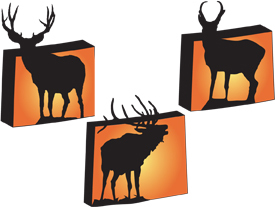 Antelope- The antelope hunting in Wyoming continues to be very, very good and the shining star of solid game management. 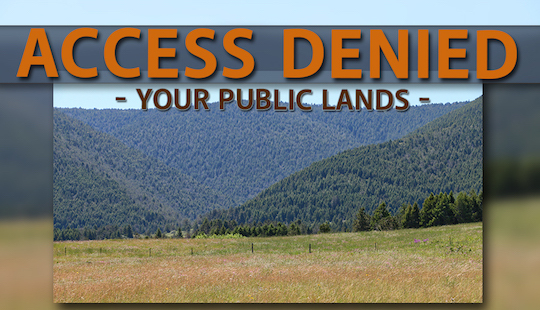 The areas in central and Northern Wyoming should be better than ever. The winter was extremely mile and the spring and summer have been very dry but the antelope look outstanding this year. Quantity and quality should be in excess this year. The areas in the Southern third of the state should be good as far as quality are concerned but the quantity will be much lower than it has been. The areas in the 40s, 50s, 60s and 90s should be a product of this scenario. I have already seen a buck that grossed over 84-inches come into the office from the Rawlins area. I fully expect areas 67, 68, 71, 72, 73, 74, 75, 77, 80, 83 and 114 to be as good as it gets this year. If you have one of these tags, you might be in for one heck of a good hunt this year. The antelope in the other areas of the state should be making a very solid rebound by next fall. 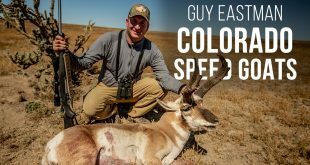 Antelope hunting in Wyoming continues to be the best and most available antelope hunting in North America. Good luck to all of you who will be hunting Wyoming this fall. If you have a chance let me know how your hunt turns out. I will as usual do my best to fully assess every area in this year’s MRS section in EHJ and EBJ. 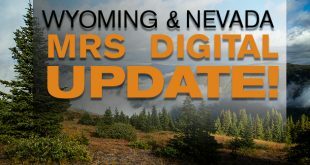 Wyoming is in a state of change right now based on management and environmental changes and we will do our best to keep our information and assessments as accurate and relevant as possible. Just back from taking my father-in-law hunting in Area 73, which is Deer Area 34. Saw plenty of antelope bucks, he tagged out in about an hour. Saw some real tall Antelope on Private lands didn’t chase after them because we wanted to do a public land hunt. The deer in that area were monsters, even the does were fat and healthy.